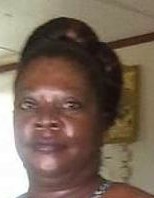 Ms. Wilma Ingram, 55, of 102 Lillly Street, Dunn, passed away February 2, 2019. Visitation: Saturday, February 16, 2019 from 11:30 am - 12:00 Noon at the Dafford Funeral Home Chapel, Dunn. Memorial Service: Saturday, February 16, 2019 at 12:00 Noon at the Dafford Funeral Home Chapel, Dunn.